numbers at November 7th press conference. Only hundreds of people enrolled in the Illinois health insurance exchange in October, state officials said today, offering the first glimpse into an online marketplace that has been vexed by glitches. 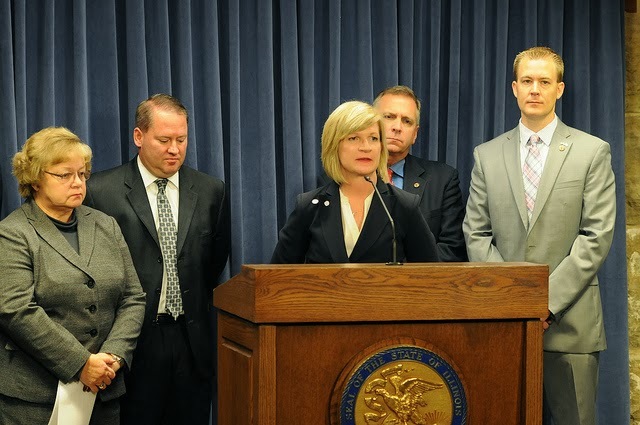 Insurance carriers have told state officials that hundreds of consumers signed up in October, confirmed Jennifer Koehler, director of the Illinois Health Insurance Marketplace. But she and Cristal Thomas, Illinois deputy governor, cautioned that it was just a guess since federal officials haven't yet provided enrollment figures. “We do not know,” Ms. Thomas said. “If we have to guess we would guess probably in the hundreds.” Kristen Schorsch and Andrew L Wang tell the story in Crains Chicago Business.